With more than 25 years of experience, Lynn Najman worked as an institutional security analyst and economist for major financial firms before turning to personal wealth management..
As a CFP® Certificant, Lynn was a subject matter expert for the Certified Financial Planning Board of Standards, and now serves as the Chair of the CFP Board’s Council on Examinations. Lynn is a Trustee of the Village of Sands Point, and a member of the Barnard Business and Professional Woman’s Association. She served on the advisory board of Virtual Enterprises Int’l, an organization dedicated to developing youth entrepreneurship. 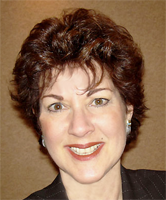 Lynn is frequently invited to speak at universities and business and professional associations where she offers her depth and breadth of knowledge of global economic issues and how that may affect retirement planning and asset allocation. 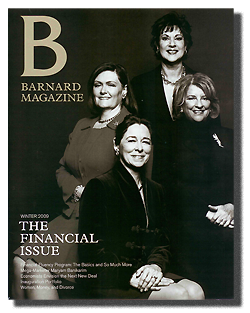 She was featured on the cover of the Barnard College Alumnae Association's Winter magazine for her role in developing the College's successful financial literacy program for alumni and undergraduates. Lynn received her Bachelors in Economics from Barnard College in New York City after attending Hunter College High School. She holds a Masters in Economics from the State University of New York at Stony Brook.